A new season is upon us and the transfer window is in the past. 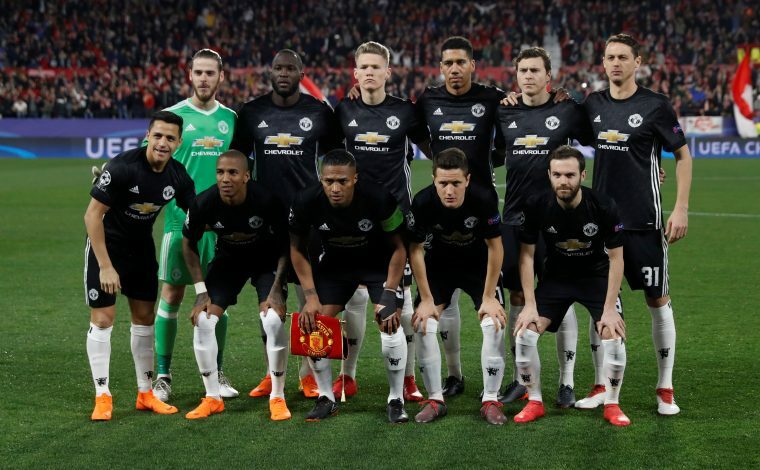 Manchester United will be a club disappointed with the lack of business done this summer, but once one shrugs aside the pessimism, one is still left with a side that can work wonders if its talents are used well. A 4-3-3 is still Jose Mourinho’s best bet at effectiveness this season, despite the obvious lack of world-class talent in vital spots. He’ll also need to evolve his defensive tactics into one with some strong attacking flair if an impact is to be made. Simply no doubts here. The Spanish shot-stopper may not have had the best World Cup, but at Old Trafford, there is no doubt that he will have to prove his point. The lack of a leader in their defense further emphasizes his role. Despite investing in Diogo Dalot, the Portuguese’s injury and youthful age will mean that the Ecuadorian veteran will still ply his trade on the flank for much of the season. Regardless, Dalot will likely still enjoy healthy game-time in this spot. Both Mourinho and supporters alike will be hoping that the 24-year-old goes beyond his injury woes and fields a firm defense for the side. While the hunt for a leader dominated the headlines these past weeks, perhaps a more disciplined Bailly could prove to be their redemption after all. The choice that supporters won’t be too excited about, as it reeks of mediocrity. However, his World Cup performance was one that held much promise and was starkly different from the follies of last season. The alternate options of Jones and Smalling aren’t too hopeful either, but perhaps the trio can clean up their act and put in staunch performances. A position whose dilemma United have somehow still not solved and the veteran is apt to continue on. Supporters will be hoping that he continues to amaze in the position till an apt investment is made, and till then, perhaps even Luke Shaw can present his case. With the arrival of Fred, Matic will now be at ease and not worry about the defensive ineptness of Pogba interfering with this holding role. The conduit play that will function through him is still United’s best hope at brilliance, and he just needs to ape last season in order to make a firm impact. However, considering how the pre-season went, Mourinho may also give a promising Andreas Pereira more chances and rest the aging Matic for a few games, with the 22-year-old given the second-spot. The Brazilian, expected to play the coveted role that Michael Carrick did, will be the difference in this side. With a midfield that is brimming with intent, his ability to remain deep as well as link with attackers will be invaluable in the club scoring goals and creating chances. Pogba was a sight to behold with France in Russia, and Mourinho must find a way to field such a presence at Old Trafford too. If that happens, then a secured midfield will mean that he may finally be released into the attacking role in which he fondly wreaks havoc. A player of incredible caliber, and perhaps him staying can be a firm indication that some hope remains. Ever a source of brilliance, the Frenchman seems apt to fight for his spot, and Mourinho could award him that. Rashford is the next possible bet here. Being awarded the no.10 shirt, it seems unlikely that a mere bench role will be given to the starlet. The duo may yet again delve into a selection battle, with both Lingard and Mata also providing ample reasons to be started. If anything, this may be the most contentious spot for the Red Devils, but Rashford may hold the upper hand ahead of Lingard and Mata. The Chilean returned to key form during the pre-season, and a period of rest, coupled with an entire season to make an impact may finally bring the best out of United’s coveted no.7. At the same time, with Martial looking apt to stick on with the Mancunian giants, perhaps a strong selection dynamic can also be created, and if Sanchez does slack in form like at Arsenal, then the youngster will be ever-eager to take over. The Belgian is another presence whose role is of no doubt. Mourinho will be eager for him to score even more this season, and perhaps the presence of Fred and a rejuvenated Pogba will provide him with ample opportunity to do the same. However, being unable to secure a second-striker as they were linked to earlier in the season, here too, the likes of Rashford and Martial will certainly fancy their chances at the helm as well, with the English starlet being the more likely option. How the Premier League table will look at the end of the 2018/19 season?